Use this general purpose lubricating oil-preservative to lubricate small arms and automatic weapons, as well as protect them from corrosion. Ideal for use whenever a general purpose water-displacing, low temperature lubricatingoil is required. 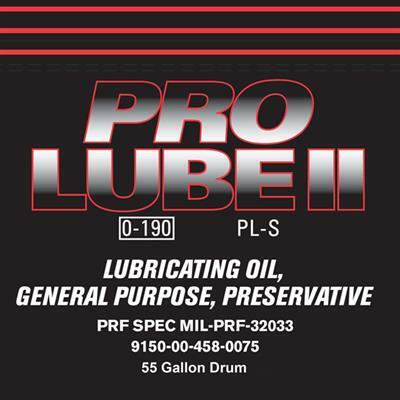 Pro Lube II can also be used to protect the fuel system and combustion chamber of engines, conforming to MIL-E-10062. This product meets Federal Specification MIL-PRF-32033. QPL No. LP-7053A.